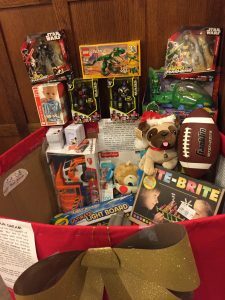 TOY DRIVE was huge success! We collected 3 times as many toys as 2017! 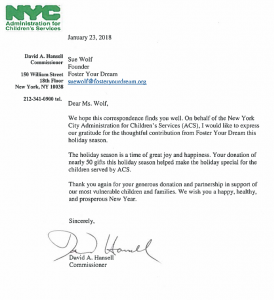 In December we said: TOY DRIVE 2018 is in full swing! 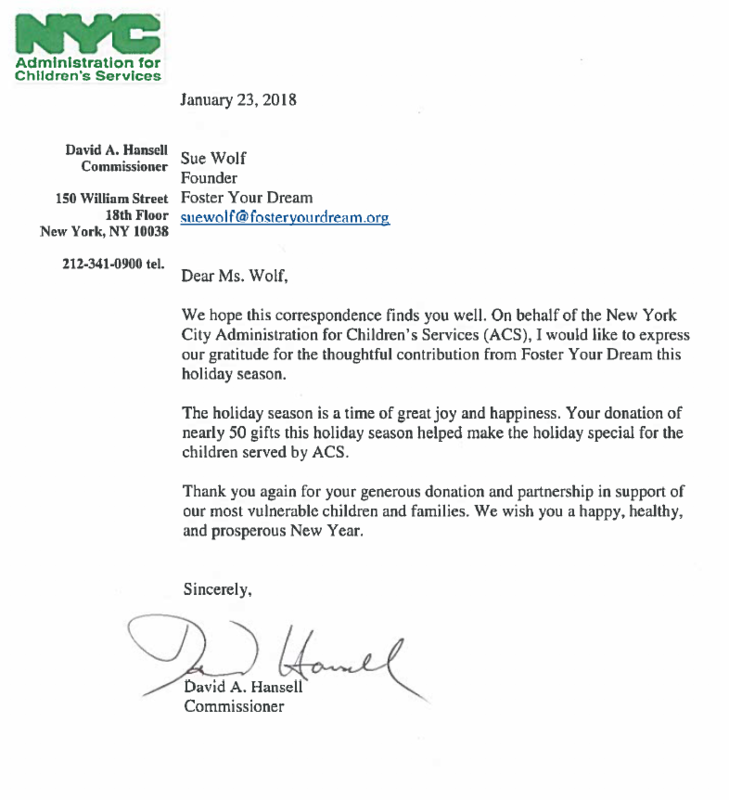 You can donate new toys for any ages at the lobby of 36 west 44th Street, between 6th Ave and 5th Ave….or the Signature Theatre on 42nd street between 10th Avenue and 9th Avenue. We bring the toys to the ACS Children’s Center where all ages go when they get pulled out of their homes. The Center houses them until a proper foster family can be found. This can be days or weeks or months. Our mission with the toys is to give them a few minutes of happiness while they chose a toy to bring with them to their new foster home.